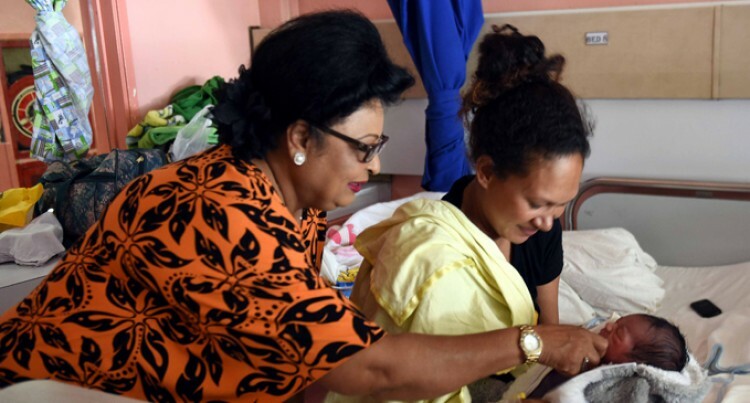 It was a joyful moment for Jane Margaret Whippy from Qauia Village in Lami as she gave birth to a baby boy just nine minutes into Christmas morning. The 34-year-old delivered a four kilogram baby boy at 12.09 am in the Anderson Maternity Ward at the Colonial War Memorial Hospital in Suva. “I am so happy and excited that my son was the first baby born on Christmas day. “This is the best Christmas gift, I have received,” she said. Assistant Minister for Health and Medical Services Veena Bhatnagar was also at the CWM Hospital to congratulate the mother. Ms Bhatnagar also thanked the midwives for working hard on Christmas day. Ms Whippy, who is now a mother of five, said her husband was sick but he got very excited when the news about the Christmas baby. “My husband has been calling and asking me about the baby. We haven’t named the baby yet,” she said. The couple are originally from Wainunu district, Bua in Vanua Levu, and have been residing in Lami for the last three months. She said her family members at Wainunu are excited about the baby as well. “I am the only one in the family who has given birth to a baby on Christmas day,” Ms Whippy said. The family will celebrate the new baby joy once they are discharged from the hospital.